In the aftermath of the recent mass killings by lone attackers in Orlando and Nice, more details have come to light about the attackers’ histories and identities. Domestic violence is sometimes referred to as “intimate terrorism”, defined as “the use of physical abuse plus a broad range of tactics designed to get and keep control over the other person in the relationship”. Both the Orlando and Nice perpetrators, as well as the Boston Marathon bomber and a number of other high-profile lone attackers, had known records of “intimate terrorism” long before their larger-scale attacks. Who was Nice attacker Mohamed Lahouaieg-Bouhlel? Who was Orlando attacker Omar Mateen? However, it is unsurprising – looking at the profile of domestic abusers – that those able to justify violence against those closest to them can be capable of normalising other violent tendencies. 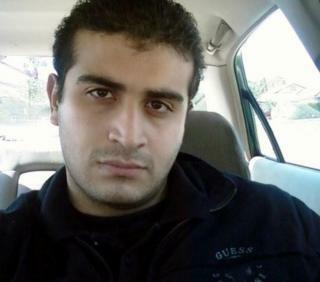 Although the FBI has stated there is no concrete evidence of Mateen’s homosexuality, many witnesses reported that he had been attending gay night clubs for a long time – beyond what might be considered “scoping”. He reportedly used the gay dating app Jack’d and had asked out a gay friend of his at one point. In comparison, Bouhlel’s mobile phone records suggest a much more open and engaged bisexual identity, using dating sites to pick up both male and female lovers and saving a range of images and videos of men and women he had recently slept with. Both men’s histories of depression, domestic violence and hidden sexual identities seem to conflict with the rigid machismo and anti-LGBT ideology of IS. However, it is exactly this worldview that alienated and disempowered individuals are attracted to. They encourage a further expansion of these tendencies towards mass attacks against those they deem “evil”. IS benefits from taking credit for the enhanced inclinations of disturbed individuals, playing into the group’s asymmetrical warfare tactics abroad as it loses combatants and territory in Syria and Iraq.